Board members are elected for for three years before standing down, they can be re-elected. In 1996 I was part of the initiative of founding Rainbow Ridge School for Steiner Education now located at Lillian Rock near Nimbin. I was on the school board for 10 years and held the position of the treasurer. I have been employed by the school for the last 15 years and managed the office. During this time I have undertaken studies of Anthroposophic philosophy specifically in relation to education and therapeutic work. I grew up in Germany and trained in nursing and midwifery before I came to Australia 32 years ago. Here I studied homoeopathy and worked in private practice for some time. 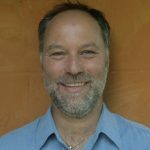 For the past 16 years I have been actively involved in the Steiner / Waldorf school movement in Australia and my professional development has included studies of Extra Lesson, Bothmer Gymnastics and, to a large degree, elements of ‘School Health Consultancy’. Through my involvement at a Steiner school from the pioneering stage into a more consolidated and professional phase I have learned much and gained a lot of experiences. I have great enthusiasm and a strong commitment to participate and offer my contribution to the ongoing development of approaches coming out of Anthroposophy. I always endeavour to keep the intention of the work, study and my services in relation to the teachings and philosophical indications given by Rudolf Steiner. He holds a Masters of Health Management and has served as an advisor to the Australian Government on a number of ministerial boards in the fields of public health, disability and rural/remote primary health care . He is a regular faculty member in the annual IPMT training in Anthroposophic Medicine, teaching therapists in Australia and kindergarden/primary teachers about salutogenesis in early childhood education in India. 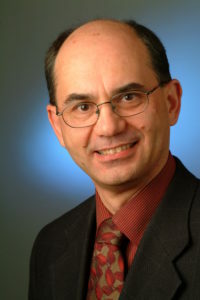 A section of his masters was looking at research into health promotion in schools. Michael works as a consultant with Steiner schools internationally specialising in the use of rhythm and movement in the curriculum.. Michael also works in NT Indigenous community development and trauma rehabilitation and is the project manager for a Steiner inspired creche project in Arnhem land communities. 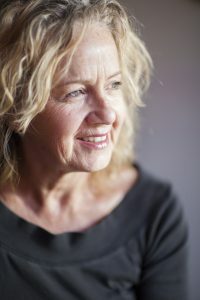 Anne is a Clinical Psychotherapist, registered with PACFA Australia. She is also in her fifth year training within the International Postgraduate Medical Training, through the Goetheanum, Switzerland and will complete in February 2019. She specialises in trauma and is emerging as very interested in youth and children. Her professional history is oriented in psychiatric nursing, bodywork and psychotherapy. She is also a professional diver and worked many years in yacht charter, teaching scuba diving, the lived experience of freedom and radiant health. Her children were educated through Steiner schools, and she has committed herself to anthroposophical work and research for the last 25 years. She has worked in Steiner schools as an assistant for seven years in Class one only, and again learnt by doing about young children and observed first hand the strengths and deficits of an anthroposophical approach. 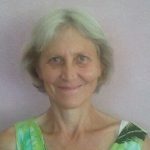 She has joined the AAMA Board with a specific interest in the future of natural medicine in Australia based in spirituality.